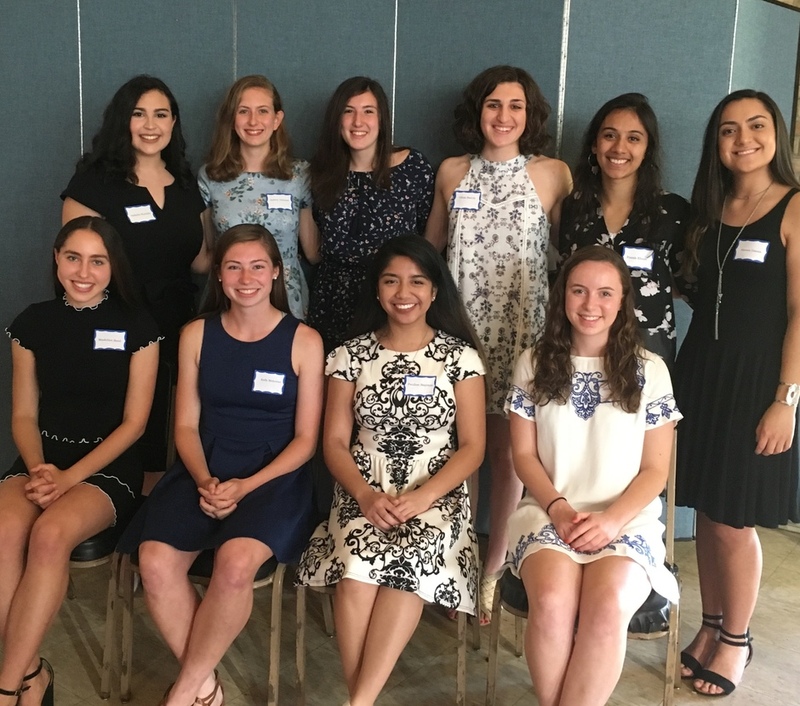 The College Club of Fanwood-Scotch Plains 2018 scholarship application forms can be obtained by clicking here: Scholarship Application or by visiting the SPFHS Counseling Office or http://www.spfk12.org. Scholarships are awarded annually to women who are 1) high school seniors or 2) college students, and who plan to pursue a Baccalaureate Degree at a four year–college. Scholarships totaling $30,750 were awarded for the academic year 2018-2019..
To be eligible for consideration, high school applicants must be residents of Fanwood or Scotch Plains. College applicants must be local residents of Fanwood or Scotch Plains at the time they graduate from high school. Scholarships are awarded based on three primary characteristics of the applicants; 1) financial need, 2) academic achievement, and 3) character of the applicant. Application materials must be postmarked on or before FEBRUARY 15th to be eligible for consideration. Congratulations to all of our scholarship recipients for the 2017-2018 academic year! The Club awarded its first scholarship of $200 during 1936 – 1937. For the academic year 2017–2018, academic scholarships totaling $28,500 were awarded to 10 students. Scholarships are awarded annually to young women who are either high school seniors or college students who plan to pursue a Baccalaureate Degree at a four-year college. To be eligible for consideration, high school applicants must be residents of Fanwood or Scotch Plains. College applicants must be local residents of Fanwood or Scotch Plains at the time they graduate from high school.